Kalahari, or western, springbok is one of the subspecies of springbok, a small, graceful antelope with lyre-shaped antlers, which is one of the symbols of South Africa. It is somewhat bigger than the common springbok and has different face markings. Free-ranging herds of Kalahari springbok roam the wide open spaces of the desert of the same name, and Kalahari Springbok hunting opportunities exist in South Africa and Namibia. The shooting fee for a Kalahari springbok can be as low as $250, although most outfitters charge between $350 and $500. Few hunters are willing to travel all the way to Africa after just one antelope, though, and would like to target a few other plains game species such as impala, warthog, and kudu, too. Plains game packages that include springbok with a few other species usually cost in the $4,000-$5,000 range. When to hunt Kalahari Springbok? Springbok are the creatures of open plains, and spot-and-stalk is the method of choice for springbok hunting. The hunt begins with the hunter and PH cruising the concession in search of the springbok. Springboks are social animals who live in large herds, and identifying the right trophy may be tricky. Look for a smaller animals with horns that are bigger and thick at the bases. Fortunately, hunters are accompanied by a PH, who can notice such details. Get ready for long shots at a small target, and carry a tack-driving rifle for a flat-shooting round. On the concession we offer thirty antelope combined in a single area. 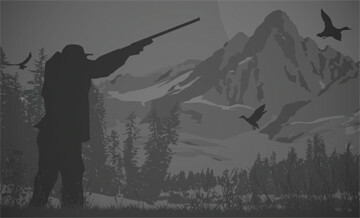 We fulfil most of our hunter’s desires without travelling anywhere else. The 24 000 acres concession make the hunting experience as close as you can get to the true African hunt of years gone by. Hunting is done mostly on foot, like the famous inhabitants, the Bushmen of the Kalahari have developed with their extraordinary ability to hunt with respect and knowledge of nature. It is a unique experience that allows you to enjoy the satisfaction and merit of your trophy. Looking for specific species, or the conquest of an extremely cunning old male with very large trophy horns, may be more challenging but all the more attractive.